What interest rates can you get from savings accounts that have online banking access? Canstar reveals the average rates, and the fees savers should expect to pay to access their cash. With the convenience of banking in the comfort of your own home or on the go, what’s not to like about online and mobile banking? You’re at the checkout, the supermarket maybe, and you’re not sure if you have enough on your card – what do you do? Log onto your phone to check your balance or make a quick transfer, of course. 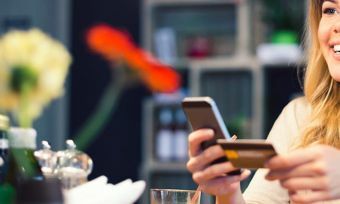 Checking your account balance is one of the most commonly-used mobile banking functions, according to surveys by Forrester. And plenty of us are doing it, with Roy Morgan Research finding in May this year that 76% of New Zealanders now have a smartphone and the majority of us carry this multi-media device in their pockets or purses. In fact 40% of smartphone owners say they ‘can’t live without’ their mobile phones, and a majority of say they now need the device: to juggle work and personal life, when travelling overseas, for personal security and to access the internet. What interest rate could you earn? As you can see from the table below, there is a 2.75% difference between the best and worst interest rates you can find in an at-call savings account that has online banking access. So it’s definitely worth doing some quick comparisons online before stashing your cash with whatever banking institution you’re currently using. What fees do online savers pay? The fees savers can expect to pay on a standard at call savings account include the following. Note that savings accounts are more restrictive in nature, so they often charge high fees as a way of deterring you from transactional behaviour such as withdrawing money. With fees ranging from $1.00 all the way up to $5.00 just to make an internet transfer such as transferring funds using your smartphone at the supermarket check-out, you don’t want to get stung paying a high fee when you need to. Finding the best account for your situation is not a difficult task, though, and Canstar is here to make it easier for you. 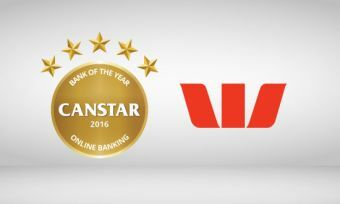 In 2016, Canstar has researched and rated 10 institutions on their online banking and mobile banking platforms. We assessed institutions on over 300 different features. You can compare online banking platforms by reading the report for our 2016 award for Bank of the Year – Online Banking. Join the online and mobile banking revolution and discover the freedom of money management at your fingertips.